Smoothies are a great way to start your day with a healthy drink, that has a balanced blend of fruits, veggies, proteins, and healthy fats. 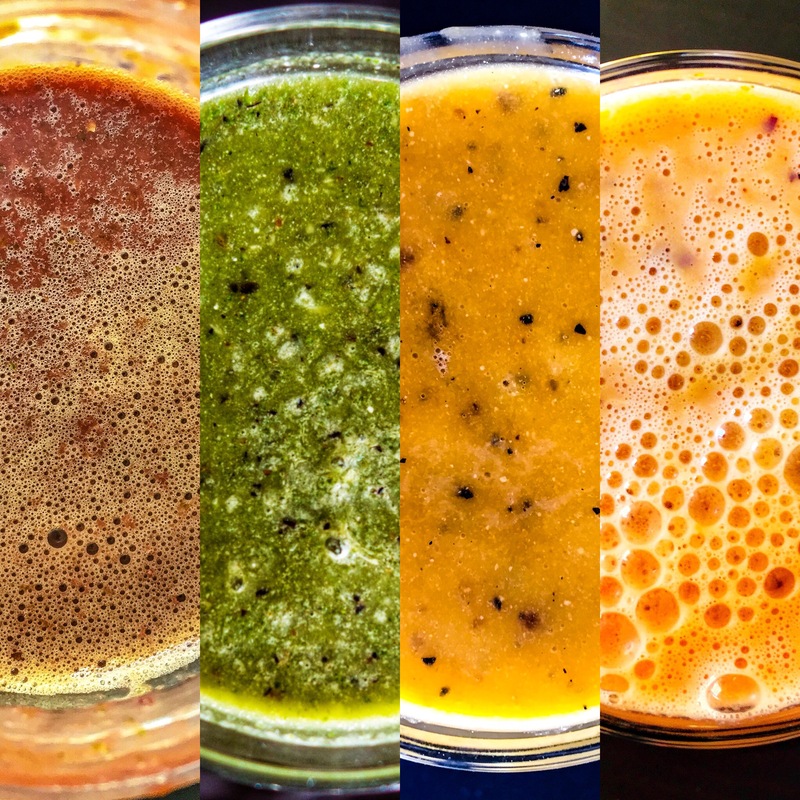 You can make a variety of smoothie combos- using a mix of fish or frozen fruits/ veggies/ greens/ nuts/ seeds/healthy fats and proteins. 1.If you are ok using dairy products , adding greek yoghurt , or organic milk to your smoothies is a great way to make it creamy , smooth and adding proteins to your drink. 2.If you want to make a dairy free version, you can use nut milks instead of regular milk, to get the desired consistency. Just replace the liquid in the smoothie recipe , with the same amount of nut milk. You can make your own nut milk or buy it in the grocery store.If you are using a non dairy milk substitute,read the ingredients on the packaging to make sure there are no added sugars, salt, and other ingredients you may not want to add to your smoothie. 3. Instead of using fresh fruits, you can wash, peel , bag up and freeze various fruit combos. This way you will not have to add ice separately. Frozen fruits make a really creamy blend, perfect for quick smoothies, when you are rushing out for work. 4. 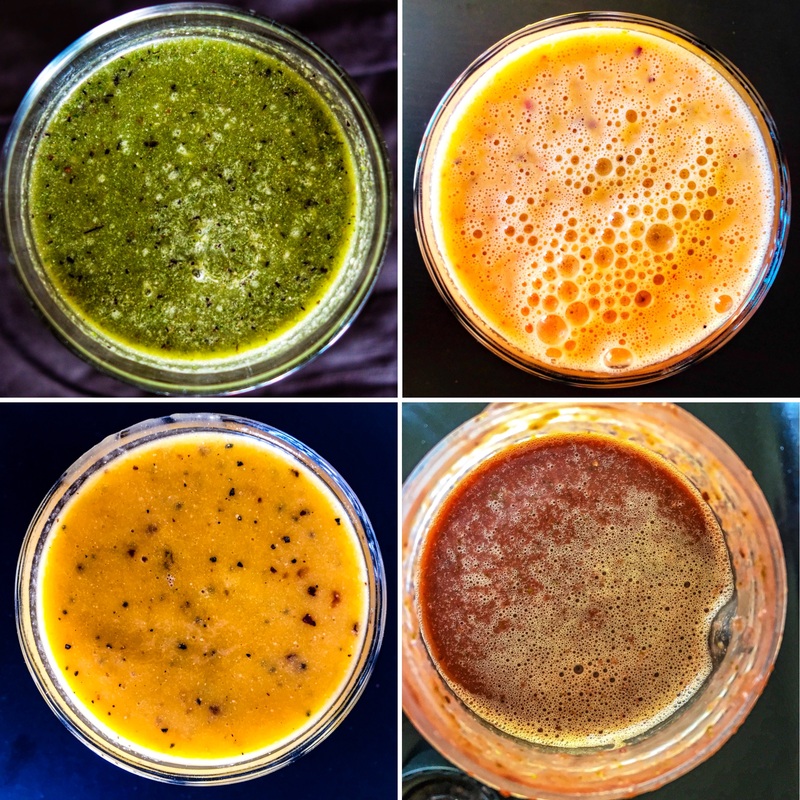 I always prefer to use water in my smoothies to get desired consistency, instead of adding any store bought juices. 5. Adding soaked nuts, or using nut butter is another ay to make your smoothies creamy, and adding healthy fats to it. It also adds a really nice nutty flavour to your smoothies.Nuts are good sources of fiber, protein, and healthy fat so adding these will they will satiate your hunger for longer.If you are using a nut butter,read the ingredients on the packaging to make sure there are no added sugars, salt, and other ingredients you may not want to add to your smoothie. To use nuts-Soak almost 1/4 cup of cashews/ almonds/any nuts you are using in warm water for 15-20 minutes and add those , or if you have a high powered blender, just straightway add the nuts to the blender with other ingredients without soaking them. 6.For sweetening smoothies, I usually add pitted prunes or dates, and honey. At times I even use jaggery to sweeten the smoothies. 7.To make it a complete meal, you can always add a tbsp of oats to your smoothies , and that will add the required fibre to your smoothie.